– And*** Scarinci, Bethlehem, United States. 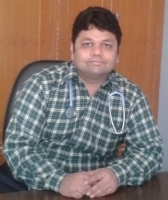 "Dr. Hitesh is really good ..."
"Thanks you doctor for giving me information on this. I am very very thankful to you ..."
"Yaa well said doc..now i am clear..thanks alot ..."
"Thank u sir for Kind information ..."